GWR is the second Mixed Waste system in California to operate with BHS' Max-AI® AQC (Autonomous Quality Control) robotic sorters, and its six robotic sorters are the most currently active in any MRF in the world. Optical sorters from Nashville-based NRT work together with four AQCs to completely automate container recovery. An AQC-2, which includes dual robotic sorters, ensures maximum recovery by capturing containers on the last chance belt. The partnership between GWR and BHS has brought about an extremely advanced waste sorting system, uniquely handling predominantly residential waste, expanding GWR's processing capabilities, and increasing the overall efficiency of MRF operations. The 90-tph Mixed Waste system processes both multi-family and single-family waste, recovering recyclables for re-use and organics for composting, to help reach or exceed local and state diversion goals. When combined with Z-Best Composting Facility, owned and operated by GWR's sister company Zanker Road Resource Management, Ltd., the system is anticipated to recover over seventy-five percent (75%) of the material processed. "Since 1992, GreenWaste has worked diligently to find technology and solutions to prevent materials from going to the landfill," says Tracy Adams, Co-CEO for GWR. "We strive to provide the jurisdictions we serve with opportunities to remain ahead of the regulatory curve. As the State of California continues to demand higher organic material diversion from jurisdictions, the newly-upgraded facility is one of the most advanced in the world and will further our ability to help the jurisdictions we serve to meet and exceed these new goals." "Sustainability is at the core of our business model and our company has a history of offering cutting-edge technologies," said Frank Weigel, Co-CEO for GWR. "We have been offering garbage processing services to many of our jurisdictions for over a decade and this new system allows us to expand the jurisdictions we serve, process more garbage and also increase diversion - a win-win-win." 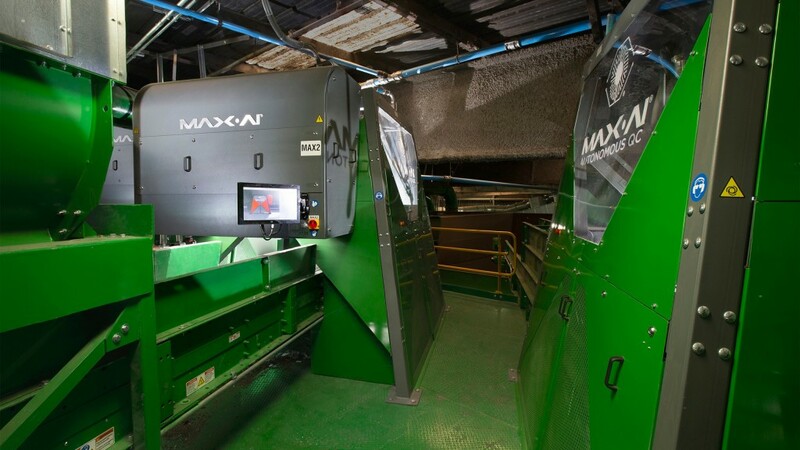 By combining the advanced technology of the Max-AI® units, the upgrades to the optical sorting capabilities of the system and the hands-on knowledge of the GWR operations team, GWR now has the ability to expand garbage processing services to even more jurisdictions. "GreenWaste is always out in front when it comes to processing a wide range of materials, including Mixed Waste, Single Stream, Construction and Demolition Waste, and Organics, including Anaerobic Digestion," said BHS CEO Steve Miller. "Recycling isn't always easy, but GreenWaste and the company's excellent leadership continue to push forward, always committed to innovation and excellence. We thank them for their continued support of BHS and congratulate them on starting up another fantastic system that will set the bar for at least another decade," Miller concluded. GreenWaste Recovery, Inc. is a privately-owned and locally-operated recycling and diversion company that specializes in the collection of residential and commercial wastes and processing of trash, yard trimmings, curbside recyclables and food waste. GreenWaste has been a pioneer in the recycling industry since its inception in 1991 and has demonstrated leadership in efficient, effective and environmentally-sound collection and processing operations. GreenWaste currently processes recyclable materials from more than forty different jurisdictions and processes the garbage from nearly 320,000 single-family homes and multi-family units in the City of San Jose and 7,300 residential households and commercial businesses in the towns of Los Altos Hills, Portola Valley, Woodside, and the Burbank Sanitary District.